This year's final marked the eleventh since the competition was revamped in the 2007-08 season. This revamp also marked the start of the Charles Wells sponsorship (now Marstons) for which East Midlands RU is extremely grateful and the commencement of the staging of the Final at Bedford Blues’ home ground of Goldington Road for which the East Midlands RU is also very appreciative. The revamp of the Cup catered for the change in league sizes at Level 5 and 6 from 12 to 14 clubs and the abandonment of the national cup competitions at those levels as a result. Clubs in these leagues now had 26 league games in a season as opposed to 22 and the previous model whereby the four sub county cups fed into the East Midlands Cup could no longer be accommodated due to the lack of available time in the season. So the decision was taken to create a competition with clubs of a similar standing (nominally the top 8 East Midlands clubs playing in leagues at level 5 and below) playing three knockout rounds. In this time the Cup has seen a wide spread of victors with 6 different clubs winning the 11 finals over that period. 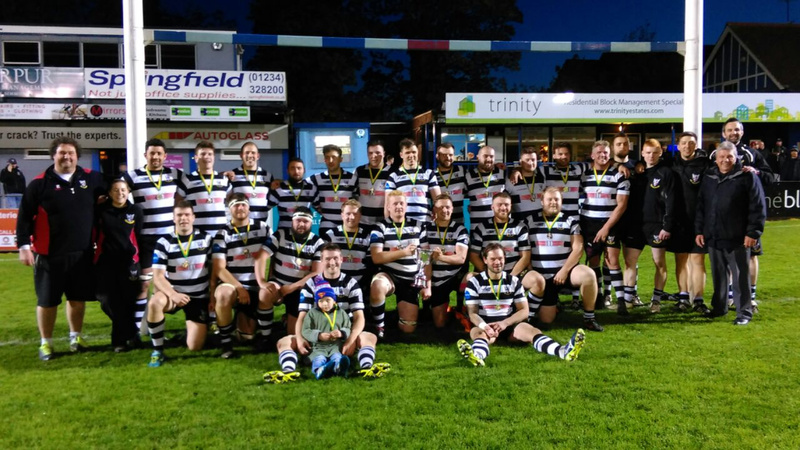 Since the relaunch Bedford Athletic have played the most competition matches winning 12 of the 21 games they have played in the past 11 seasons whilst Kettering can claim to be the most successful winning 11 of the 14 games they have played in that time. Ampthill have won 8 out of 9 matches played but are no longer eligible having been promoted to National League rugby three seasons ago. Peterborough Lions have only lost two of the six games they have played in the competition. This leaves Bedford Athletic as the only “ever-present” club in the revamped competition’s 11 seasons.